The night sky; crisp and clear, bright stars, the Milky Way, perhaps gentle light from the sliver of a moon. Many people today live in places where the night sky is obscured and the stars are not visible. Go to www.darksky.org to find out more about light pollution and what can be done to protect the beauty of the night sky. 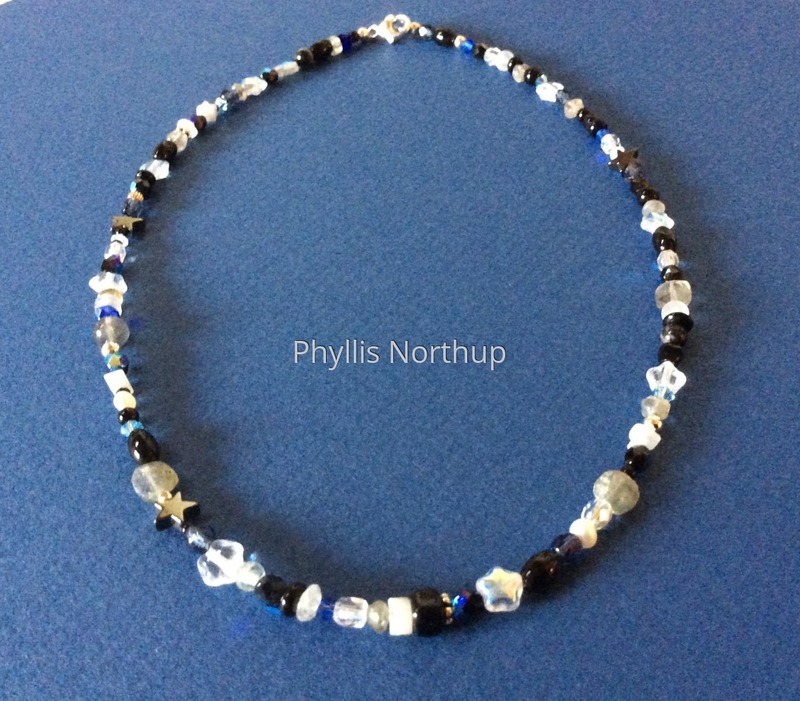 The beads are sterling silver, labradorite, Swarovski crystals, onyx, hematite, and Czech glass. They shimmer and reflect light like a starry night! Approximately 16", price includes shipping. "Night Sky" earrings and bracelets are also available.